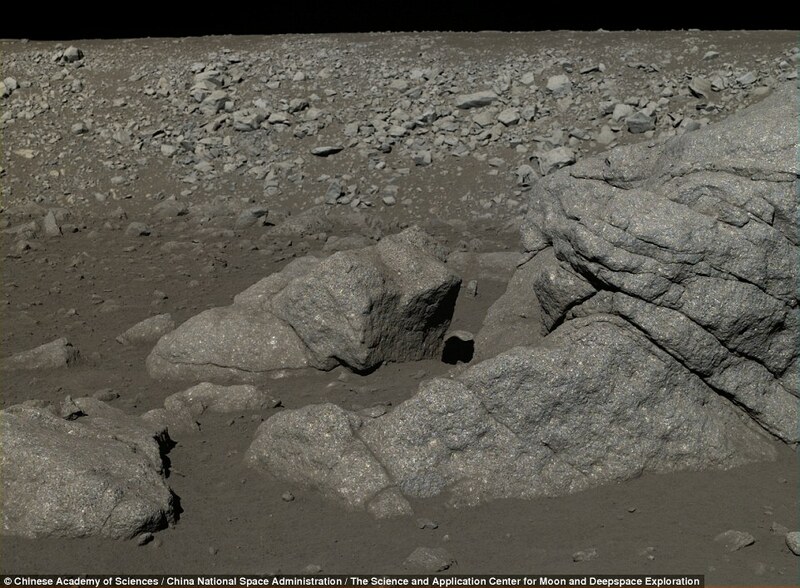 We've become used to peering at blurry images of the Moon's surface over the past 50 years, but the latest trove of photos released by the Chinese space agency include some of the clearest ever taken. 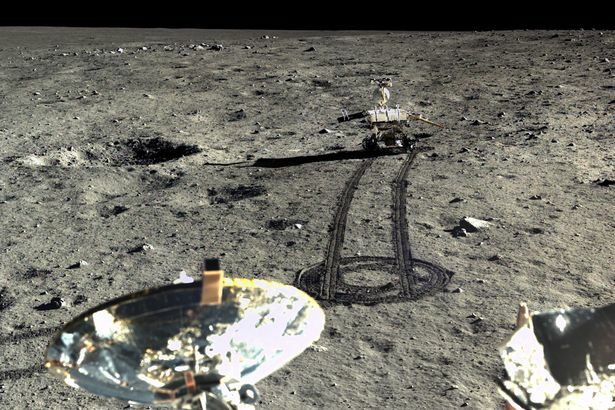 The pictures were captured by the Yutu lunar rover - also known as the "Jade Rabbit" - which touched down on the Moon on 14 December 2013 as part of the Chang'e-3 Moon mission. They include hundreds of photographs in stunning HD quality, showing the rocky lunar surface, rover tracks and impressive rock formations. The rover stopped moving on 25 January 2014 - just 42 days into a three-month mission - because technical problems meant it was unable to replenish its solar power supplies. 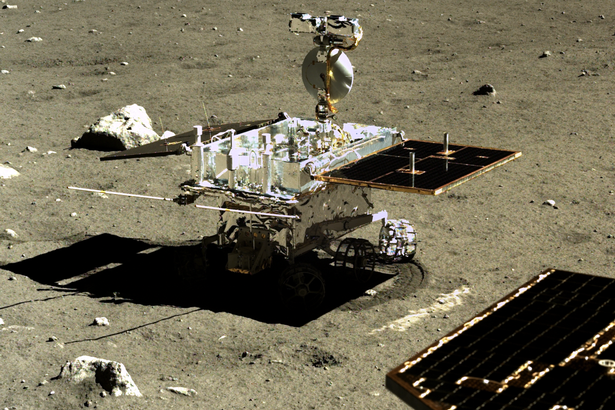 Despite this, the Yutu's instruments continued to work, allowing it to record data and capture these amazing photographs from a static position. Unlike NASA or the European Space Agency, the China National Space Administration (CNSA) is relatively secretive, and doesn't often release images of this kind. The CNSA's website is also fairly difficult to use - and is entirely in Chinese - so announcements and reports don't usually get much attention. Fortunately for us, and space fans worldwide, Emily Lakdawalla from The Planetary Society has done the hard work and organised hundreds of the images into two subsets - 35 Gigabytes worth in total. 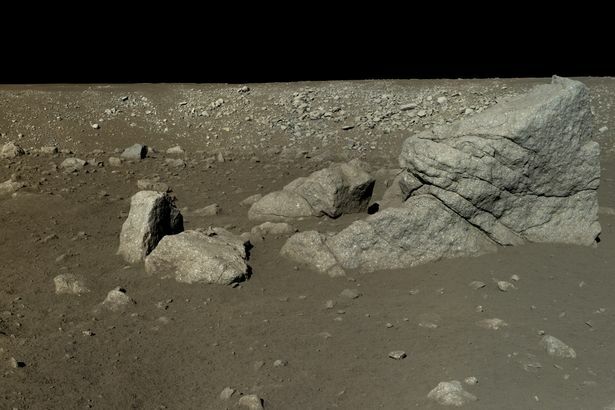 You can find more shots from Yutu's panoramic camera here.